“Starting at” price is manufacturer’s suggested retail price (MSRP) for lowest model trim. MSRP excludes destination and handling charges, taxes, title, license, options, and dealer charges. Vehicle shown with optional equipment. Actual price set by dealer and may vary. See dealer for details. Some features only available as part of packages. 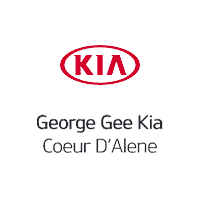 Kia Motors reserves the right to make changes at any time as to vehicle availability, destination, and handling fees, colors, materials, specifications, features, accessories, packages, and models. Drivetrain specifications based on the 2018 Stinger GT2. Comparison data based on manufacturers’ websites for 2018 Audi A5 Sportback, 2018 BMW 440i Gran Coupe, 2018 BMW 640i Gran Coupe, and 2018 Porsche Panamera RWD V6 as of September 2017. Preliminary performance estimates for Stinger GT with rear wheel drive using Launch Control and equipped with 19” wheels. Actual results may vary depending on options, driving conditions, driving habits and vehicle condition. Do not attempt to verify these results on public roads. Always drive safely and obey all traffic laws. Intimate yet expansive. Classic yet modern. The Stinger’s aircraft-inspired interior marries simplicity with substance to give you a sleek cockpit rich with comfort-focused amenities and lowered seating for enhanced connection to the road. It’s the evolution of gran turismo, beautifully realized. Meticulously crafted for the driver who loves the drive. We obsessed over every interior detail, from the available ultra-soft Nappa leather that envelopes the deeply contoured seats to the metallic accents placed thoughtfully throughout the cabin. For the audiophile in us all. The available 720-watt Harman/Kardon® QuantumLogic™ Surround Sound System turns miles into music with state-of-the-art audio quality through 15 speakers. The available Harman/Kardon® features 15 speakers placed meticulously throughout the cabin to deliver an optimal, well-balanced sound. The 12-channel amplifier and dual subwoofers let everyone hear, and feel every note. Custom-built for the Stinger’s sleek cabin, the Harman/Kardon® audio system indulges all the senses. The speakers feature clean lines and modern metallic finishes for superior audio that looks and feels as good as it sounds.